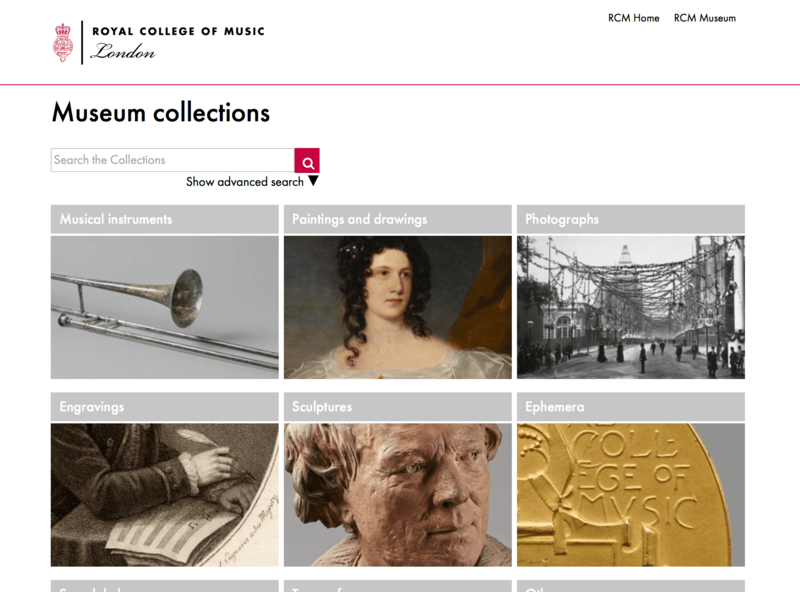 In 2017 the Royal College of Music Museum undertook a project to digitise their collections with a view to moving from a commercial digital library to presenting their collections on their own website. 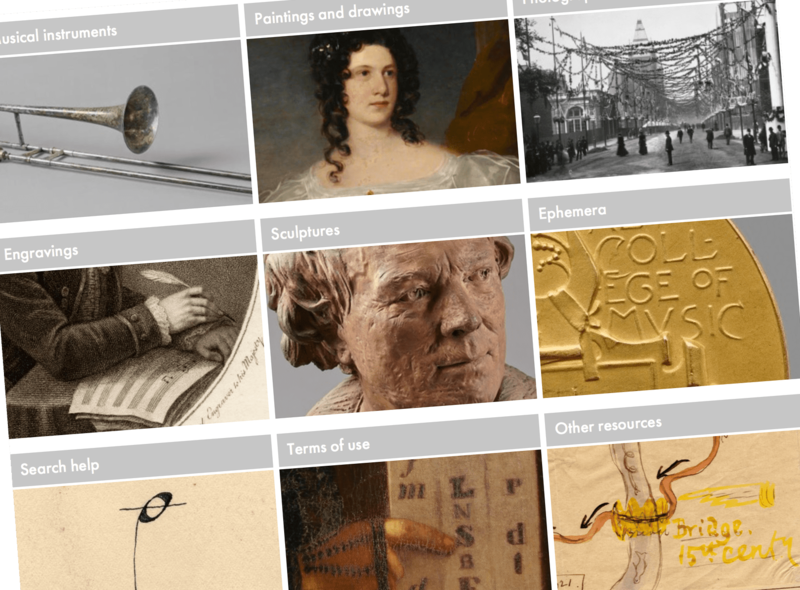 We designed and developed a searchable online catalogue aimed at scholars and the general public. 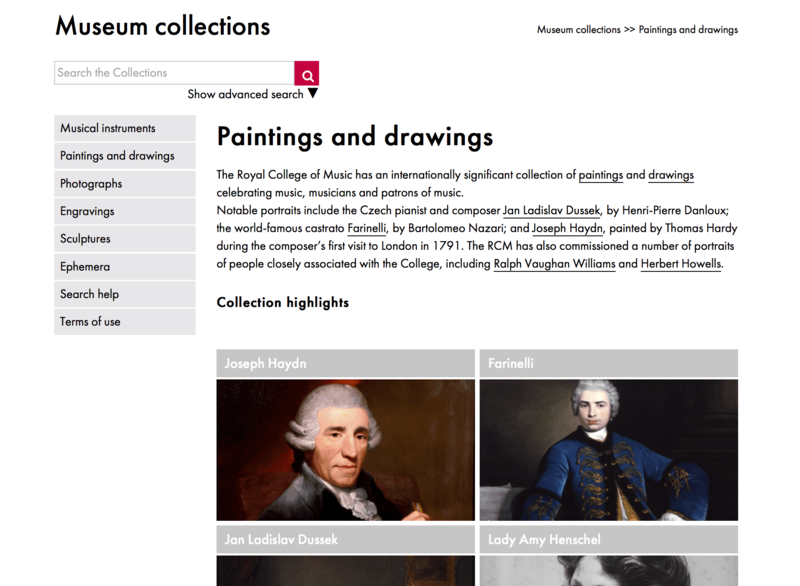 The user friendly interface mimics the look feel of, and links from, the RCM Museum website, providing a more coherent user experience. 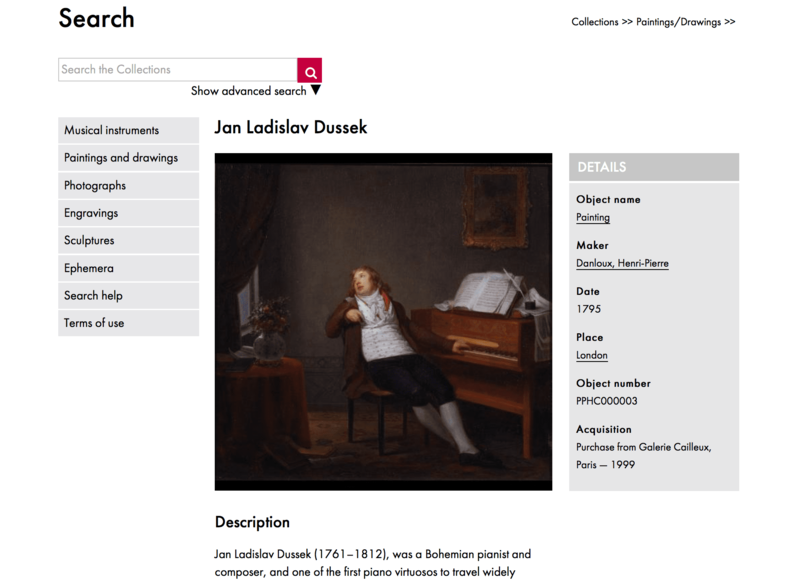 Because we integrated with the “live” Adlib database, whatever the editorial team wish to display is exactly what appears online. 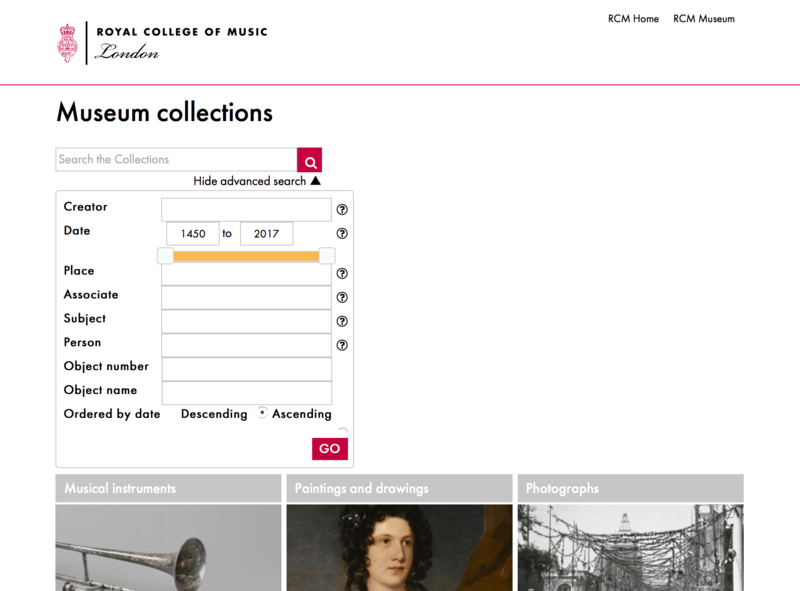 As a result the team haven’t needed to change their working practice, they just continue to add to and edit the catalogue records.